The high street excels in so many areas. However, we find that handbags can be harder to shop for on a budget. It can be difficult to find affordable leather handbags that don't look cheap and won't fall to pieces the minute you put a laptop in them. But there is one under-the-radar high-street label that creates on-trend, expensive-looking handbags for under £100. Singaporean label Charles & Keith is the Zara of the accessories world, and although you can order its bags online, it remains an insider name here in the UK. This is the place to go for minimal, pared-back designs with a selection of tan, black and navy bucket bags, backpacks and top-handle bags. 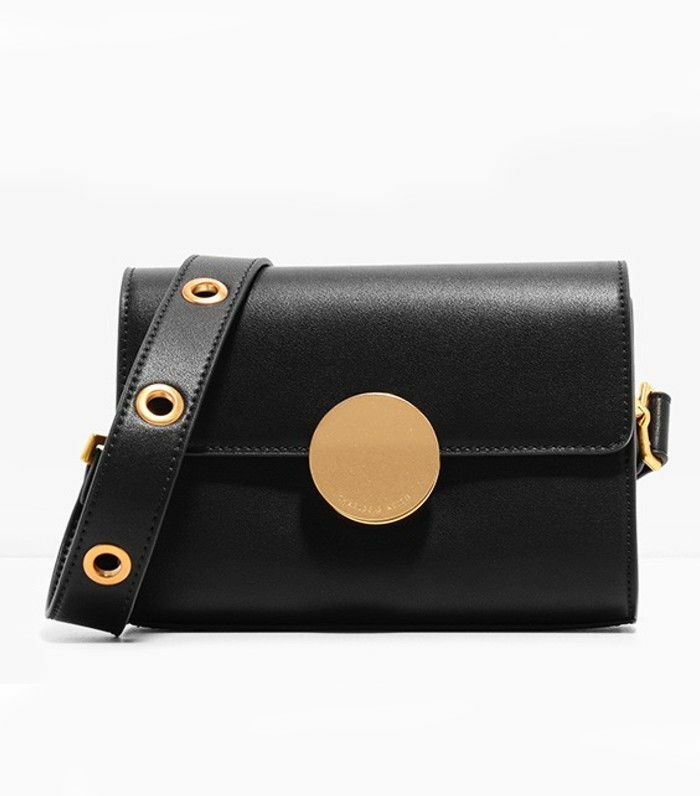 As well as practical everyday totes, the brand has also nailed the micro-bag trend with velvet wristlets and sparkling circular box clutches. The store launched back in 1996, originally specialising in shoes, but then later expanded its accessories offering. The brand has, however, only recently upped its profile here in the UK, partly due to Game of Thrones star Maisie Williams carrying its £40 triangular pouch bag on the red carpet several times and mega bloggers such as Tine Andrea loving the brand.